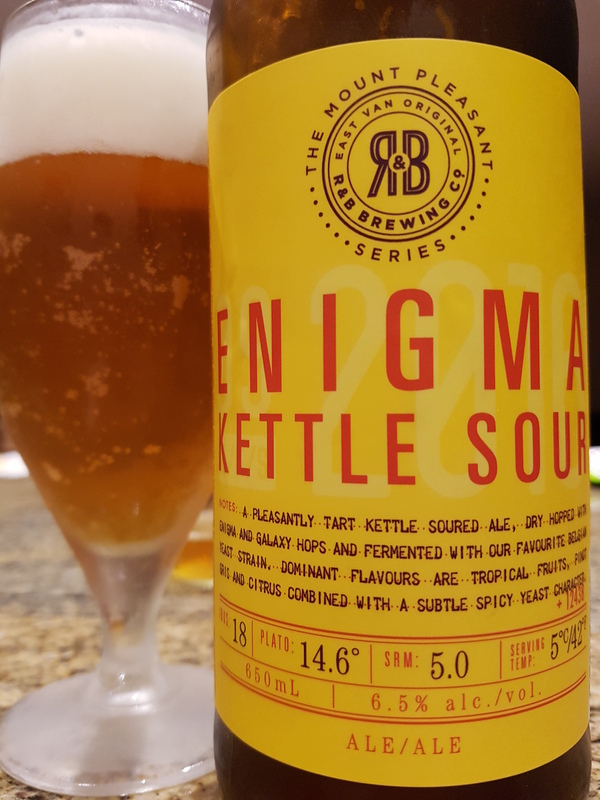 Enigma Kettle Sour – R&B Brewing Co. (Vancouver, BC, Canada) | Justintoxicated. Visual: Pours clear light copper orange with a a large dissipating foamy head, a touch of lacing, clusters of steady streams. Summary: Big tropical fruity tart sourness as advertised, balanced nicely and never too aggressive or cloying. Decent body and all around pleasant.